There’s a giant statue along the Big and Little Arkansas rivers called Keeper of the Plains. Each night, you can watch flames spring up from fire drums around the statue, illuminating the surroundings. It sounds pretty cool, especially for my kids. Catch it at 7 p.m. in the winter and 9 p.m. in the summer. I still haven’t the chuckwagon dinner I’ve been dreaming about ever since planning our South Dakota road trip two years ago. Maybe Wichita is the place? Just 20 minutes outside of town, there’s Prairie Rose Chuckwagon Supper, a dinner show with classic cowboy tunes and a chance to ride a wagon. 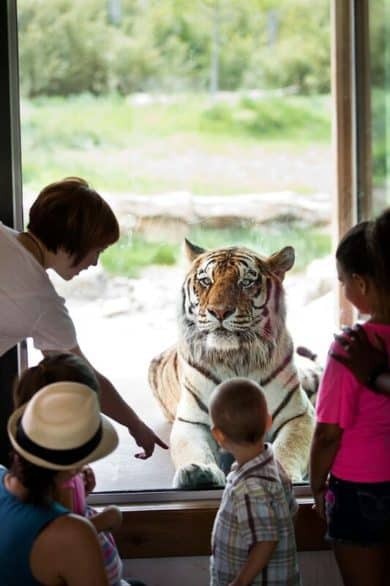 Several friends familiar with Wichita have recommended we take the kids to Tanganyika Wildlife Park. It’s about 10 minutes from downtown. 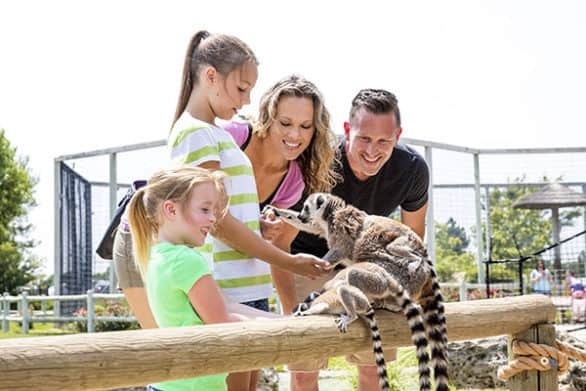 At the park, visitors can get up-close to the 300+ residents, even feeding some like giraffes and lemurs. Update: We did it! We went to Tanganyika and it was ah-MAZ-ing. Read all about it here. There are 26 themed gardens at Botanica Wichita. 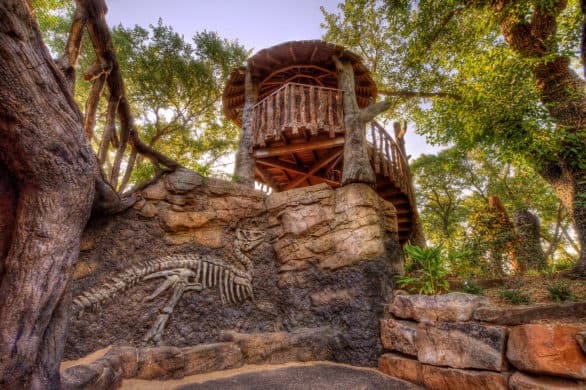 We’d definitely have to check out Downing Children’s Garden and the butterfly house, as well as the Fossil Wall. Update: We went to Botanica Wichita and LOVED it, especially the children’s garden. Read about our experience here. You’ve heard of laser tag and paintball? Now there’s Nerf battlefields and I just know my kids are going to love this place. Update: We went to Dart Warz, and you guys, what a blast (though my youngest would disagree)! 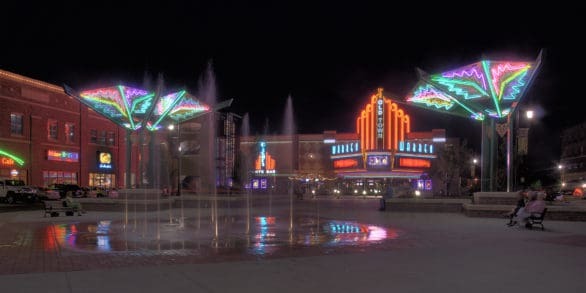 Read about Dart Warz and all the other things we did on our Wichita getaway here. I have so many restaurants I want to try – how will I decide? Do we get breakfast at Doo Dah Diner (I heard they had some habit-forming french toast there)? Or do we get donuts at Donut Whole or Hurts Donuts for a crazy creations? 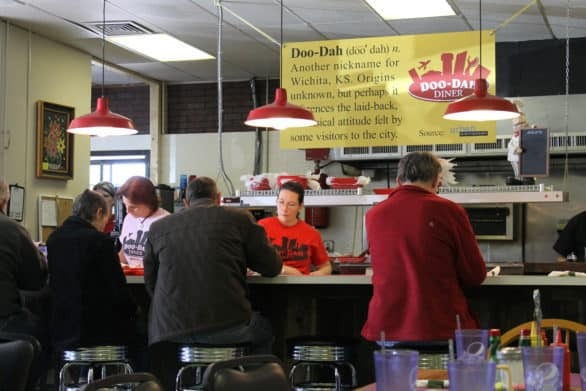 I’m thinking of getting malts with lunch at the old-fashioned soda fountain in downtown Wichita, Old Mill Tasty Shop. My foodie friends in Wichita sent me a whole list of places to go to, including burgers at The Anchor, Dempsey’s or Ty’s; pizza at Ziggy’s; Mediterranean food at N&J; Songbird Juice Co.; and Two Olives. The Oh My! Omaha Facebook group also had some good recommendations, and I’m pretty sure The Kitchen will be on our itinerary for the spring trip. 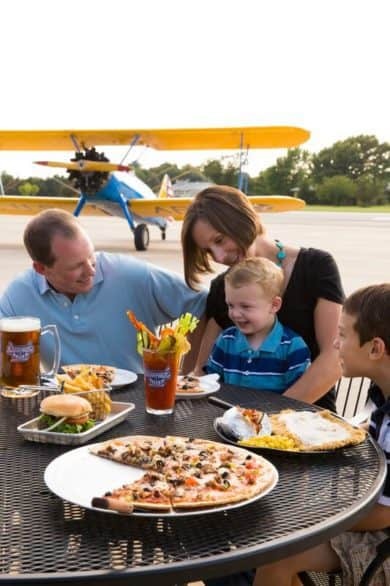 There’s also Stearman Field Bar & Grill, a restaurant located right on a landing strip where you can watch aircraft take off and land 20 yards from you. 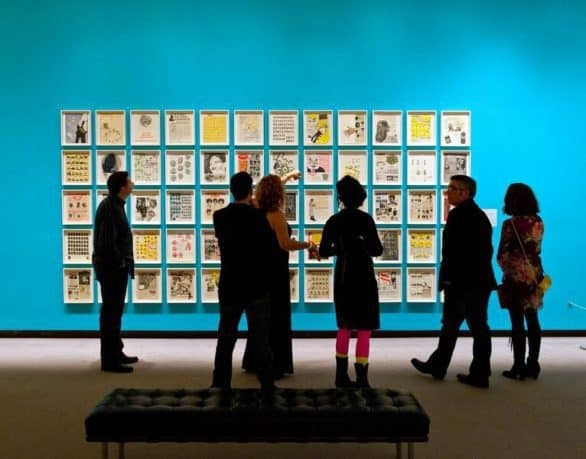 The Wichita Art Museum has a space called The Living Room, which is an interactive gallery for art investigation and make-it/take-it art activities. My kids would totally love it. Plus, if we visit on a Saturday, admission is free. We could likely spend an entire day here, exploring flight, nanoscience, and what will likely be my castle-obsessed son’s favorite space, Where Kids Rule with its three-story castle. 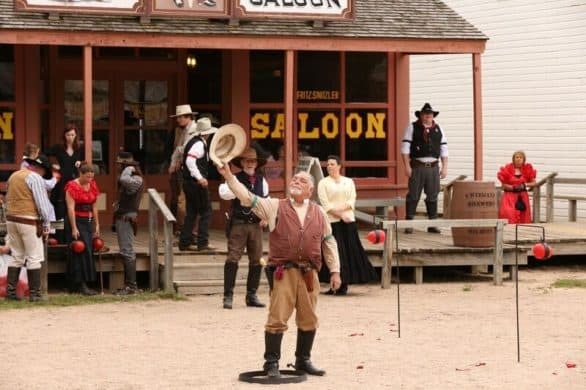 I think my kids would love seeing the cowboys and other costumed interpreters walking around this open-air museum – they tell visitors about Wichita life in the 1860s. Hope we time the visit right to catch a shootout on Main Street. This three-floor museum sounds like a hodgepodge collection dreamed up by my children. It has everything from dinosaur skeletons, a segment of the Berlin Wall, and a mummy. Saturday mornings sound like a good time to visit, during the lively farmers market. It sounds very much like Omaha’s Old Market with its brick roads and converted warehouses, so I’ll be right at home. In my kids’ younger days, this would be the place for us to spend our entire vacation. It still sounds like a family-friendly stop we’d enjoy. They even have a trains for kids to operate. I heard the animals live in authentic habitats, like Downing Gorilla Forest, which emulates a Congo village. The Elephants of the Zambezi River Valley exhibit opened in 2016 and has the world’s largest elephant pool (550,000 gallons of water)! 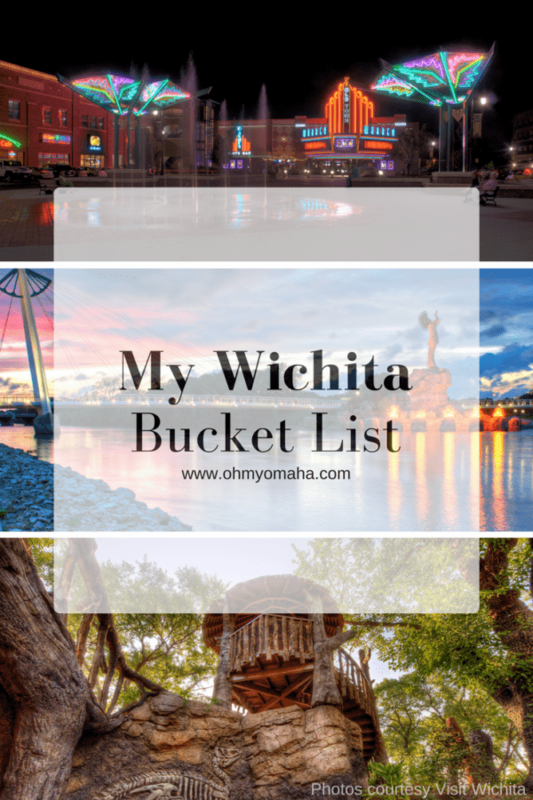 Share your ideas: What are other not-to-miss things to do in Wichita that my family should check out? Leave a comment!